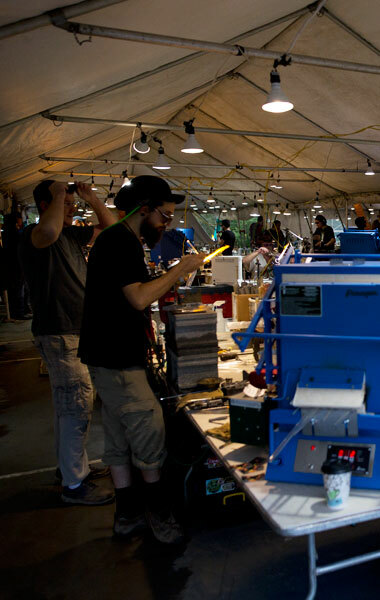 Set up your torch in our tent, We provide gases and kiln space. 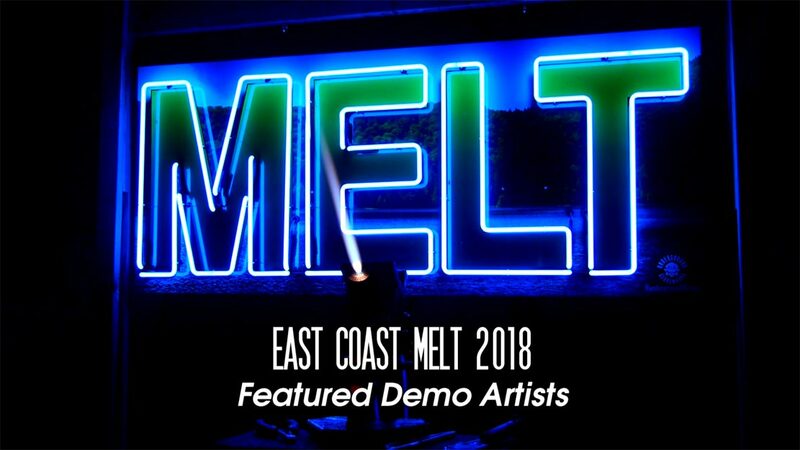 Come MELT with us! Your torch ticket allows you to set up your torch in our torch tent and MELT with over 100 other artists. We'll provide the gases, kiln space, and dj's to keep you going all week long. You also get access to 5 days packed full of glassblowing demos, seminars, 3 meals a day, late night snacks by the torch tent, music, full access to the lake and other summer camp activities, all with a cabin to sleep in. 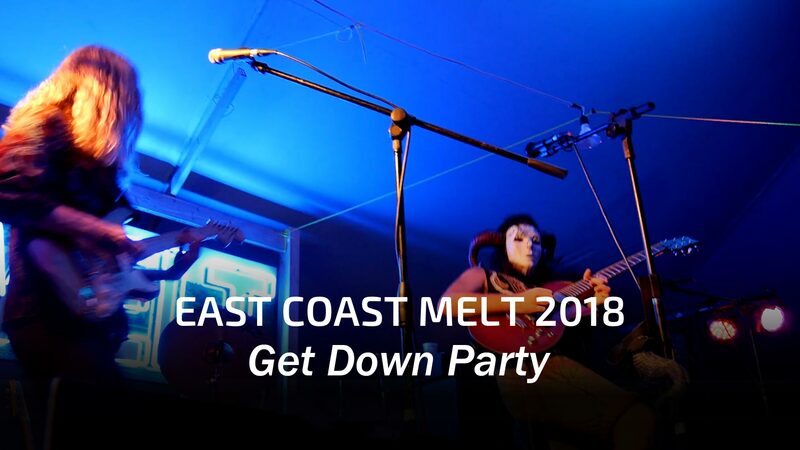 Come MELT with us! Five days of demos, seminars, good food, music and activities. Come LEARN with us! Secure your Torch or Spectator Level ticket by making a deposit.Available for a limited time! Secure your Torch or Spectator level ticket by making a deposit. We are offering an end of the week special where you show up Thursday and leave Saturday morning. This is the perfect ticket for stores or glass enthusiasts. You'll have full spectator access during your stay. This includes all the demos, seminars, 3 meals a day, late night snacks, and a cabin to sleep in. Friday night we are having a pig roast, live music, and a spectacular fire works display. We are also going to have our attendees set up and display their work for sale. Come spend five days at Independent Lake Camp in Northeastern PA on September 9th - 13th, 2018, surrounded with like minded people. 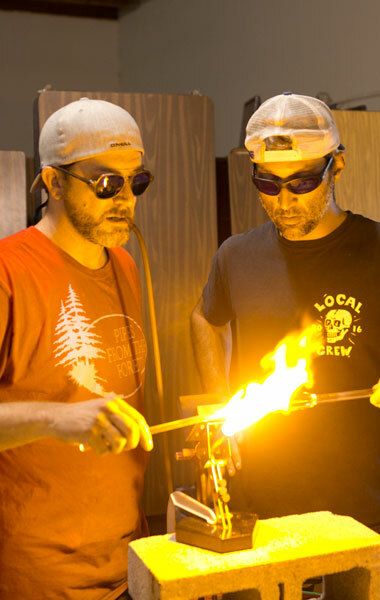 Not only will you get to see some of the best glassblowing in the country, but you'll also have access to as much torch time as you can handle. 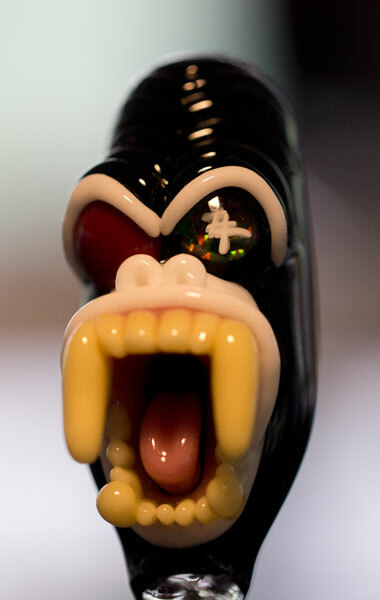 Learn from established artists through glass demonstrations and informative seminars. Come with a group and stay in one of the summer camp style cabins on site--complete with full baths and electricity. When you wake up, our kitchen staff will be prepared to provide you with three square meals a day, as well as late-night snacks. We will keep you fed, as you will need your energy to handle the many activities available at this camp. Including, but not limited to, a skate park, BMX track, paddle boats, canoeing and kayaking. To cap off each night, enjoy DJs throughout the week in the torch tent area. Be prepared for a couple great bands on Friday night and a spectacular fireworks display. 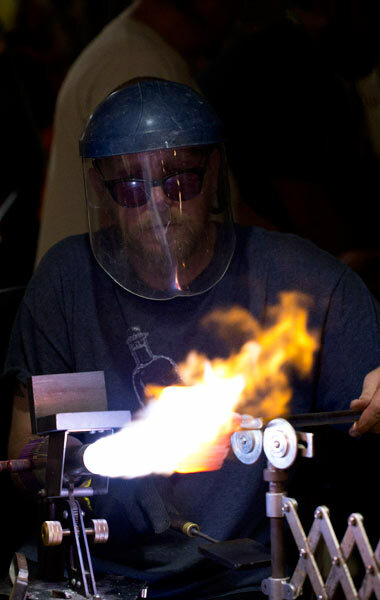 Think of it as a summer camp for glass blowers. It's going to be the experience of a lifetime.